Eugenics is now history, but it’s a chapter of California’s past that’s uncomfortable for many to discuss. Eugenics is now history! Oh really? Have you never heard of the State funded Office of Family Planning? Their goal is to eliminate poverty by eliminating the poor. They take credit for aborting 100,000 children each year. Oh, the limit on state funded abortions is one every two months. This by the way is a biological impossibility. While abortions usually take place between 8 to 12 weeks from conception, they are legal thru all nine months of the pregnancy. If you include the time needed for ovulation and conception, once a quarter would still be too frequent. Also, due to “privacy concerns” the state keeps no actual records on who gets abortions or how many. In fact, some abortion providers have admitted to doing the procedure on women who were not even pregnant. If you are interested in the subject, try finding George Grant’s book, Grand Illusions: The Legacy of Planned Parenthood. This book was first published in 1988—many years before the reporter of this story was likely even born. 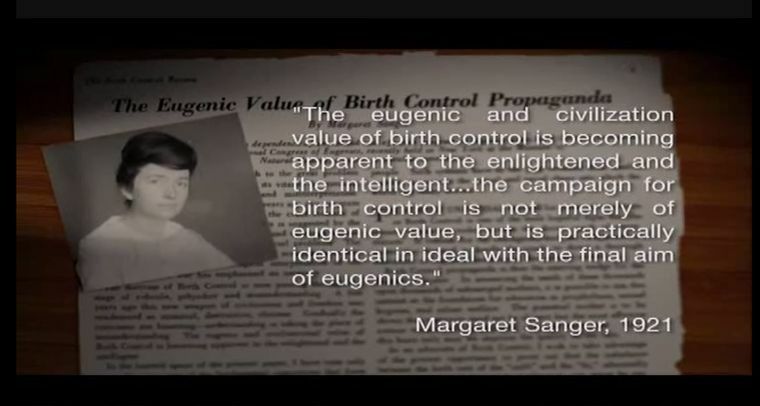 Oh, if you think abortion is the only eugenics program running now you would be wrong. We have several in our country that are gaining in popularity every year. A major component of the “Obamacare” law is rationing of care and an unelected panel of bureaucrats deciding who lives and who dies. Then there is assisted suicide and euthanasia. The Bible says “the compassion of the wicked is cruelty.” Clearly these real world applications of “social Darwinism” are evil and barbaric. However, if man is truly the result of random chance and natural selection then eugenics is the natural result of such reasoning. Using such logic, slavery and genocide are necessary to make the world a better place.